Tashkent tax department and the Uzbek Republican Copyright Agency launched an unprecedented large-scale joint operation on January 25, 2008. 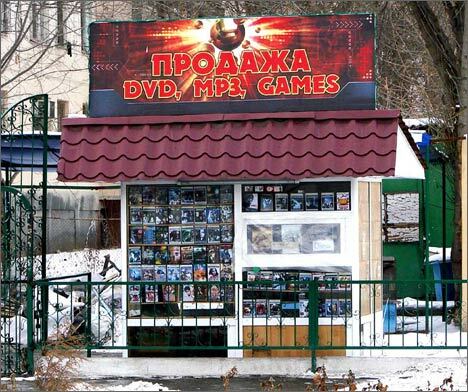 18 tax squads accompanied by local media reporters and state broadcasting corporation correspondents simultaneously broke out into18 outlets of the Nirvana trade network and seized over 100 thousand DVD, VCD and MP3 discs with foreign movies, music, computer games and software. The campaign was held to abide by the commitments to observe the Berne Convention for the Protection of Literary and Artistic works adhered by Uzbekistan in 2004 and other international copyright regulations. The seized audio and video-products will be examined and should be shown counterfeit will be subjected to elimination. Following the examination outcomes, the police will draw final conclusions and initiate a criminal proceeding. However, in the interview with local journalists, the Uzbek Republican Copyright Agency member Alisher Khafizov claimed that almost each disc seized in the Nirvana trade network was pirate, excluding those of the Uzbek origin. 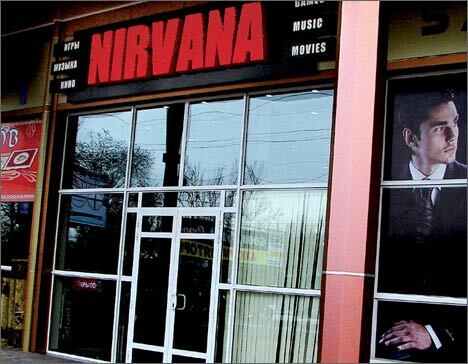 A handful of license discs sold in the Nirvana were deemed pirate as the retailers had failed to represent any evidence of customs clearance of the discs, Khafizov said. Today the elite Nirvana trade network with regular customers and modern service presents a sorry sight in Tashkent. The doors are locked and emptied shelves are looming in shop windows. Strangely enough small outlets and kiosks nearby keep on working and trading in foreign movies and music of a much lower quality and highly dubious origin. UzA informs that a day ahead of the operation the police eliminated about 10 thousand discs seized during sweep of markets and public places in Tashkent. Street retailers easily overcame the brunt of copyright champions as the police determined to hook "a larger fish". Despite detailed explanations of international conventions provisions and nuances by the Uzbek taxmen, the consumers are skeptical about the authorities' efforts to civilize the market. -The stuff sold in streets can endanger the record player. In Nirvana one could buy any foreign or Russian movie, even a vintage one on a good CD for an extra charge, A Tashkent cinefile lamented. - I guess the president's relatives or top officials have made their mind to secure a grip on the business, another passerby suggests. - I believe the ideology is messed up. The authorities wish we watched the Uzbekfilm solely and listened to the Uzbek songs. In late 90, the market was civilized when the police broke up small-time traders. Has anything changed ever since? Do shops trade in cheap clothes of domestic origin? - Are they crazy? People are freezing in apartments, the gas is hardly flickering in burners, city telephone network has been under repair for almost a year, and people are queuing for bread. The case with CD reminds of a mountain made of a molehill. There no other challenges in Uzbekistan, are not there?